Itchy dogs are a common condition and can be very frustrating for both pets and their owners. Itch has a medical name, Pruritus. Its one of the major reasons people seek Veterinary treatment. There is a lot of information online about itchy dogs and unfortunately a lot of it is not true or misleading. Home remedies such as apple cidar vinegar or using collodial silver are very worriying and plane dangerous at times. – the equivalent to human hayfever- very very common disease that I treat every week. Please if your dog is itchy seek Veterinary attention and work with them for the few months it can take to get a result and treatment. We cannot cure some of the above diseases such as grass contact and Atopy, instead they need lifelong management. Addressing any flare ups as they occur and reducing things that cause flare ups during the year. 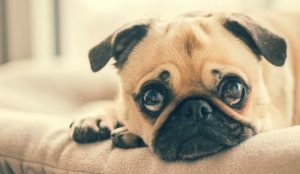 So what can I do at home if I have an ithcy dog? ALL EAR INFECTIONS MUST BE TREATED BY A VETERINARY SURGEON, DO NOT PUT ANY PRODUCT DOWN YOUR PETS EAR EVER, UNLESS DIRECTED BY A VET. Pruritus is a tricky and extensive area of medicine, we have specialist Vets that deal with just this disease on a full time basis. 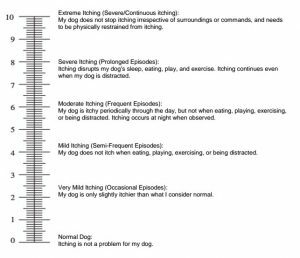 Diagnosing via google is just not possible, I urge you to seek Veterinary attention if your dog has been itcy for more than a week or if it gets regular flare ups or anytime you think your dog has an ear infection. Dont give up after going to your Vet once or twice with no results, work with them to get an answer and if your not happy in general practice ask your Vet for a referral to your local Veterinary Dermatologist, if unsure please see the list of reccommended skin specialists below. Dermatology for Animals, 263 Appleby Road, Stafford Heights, Queensland 4053.